Q:Can I set more color for the tool bar of the 3D PageFlip Stardard? I’m really in favor of the 3D PageFlip software because of its user-friendly functions and effects for my 3D page turning book. The custimozation function is comprehensive and I want to change my tool bar color with my fover color. How can I do so in the 3D page flip software? 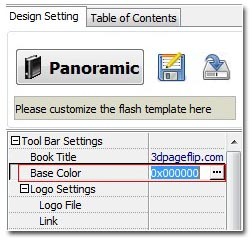 Of course you can set any kinds of color for your 3D page flip book! There are several steps. However it’s quite easy and simple! Step1: Import your PDF file and Get to the Design Setting panel. Click "Base Color" to get further designing. 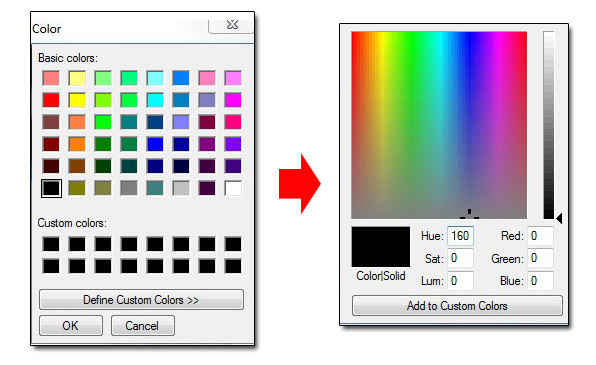 Step2: Press "Define Custom Colors" and you can see more detailed settings occur to you! Design by yourself freely. You can get any color for your too bar.